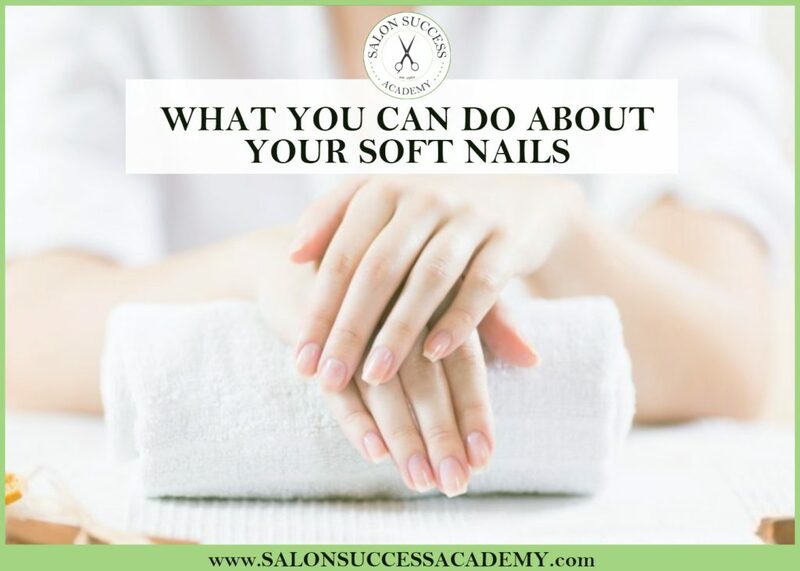 Did you know that one of the most common reasons for soft, splitting nails is just plain old water. Repeatedly getting your nails wet, then dry, then wet isn’t good for them or your skin. Wear gloves when you wash dishes or clean. It will keep your nails dry—and safe. A healthy diet is great for your whole body—including your nails. Sometime weak or brittle nails are caused by your diet and what’s not in it. For healthy nails, you’ll want plenty of omega 3 fatty acids. You can get these important nutrients by eating dairy, eggs, nuts and fats like the kind you find in extra virgin olive oil. Talk to your doctor about supplements so s/he can tell you what the best supplement for you is. Perhaps you have an iron deficiency, or you just need more vitamin C. Explain what’s going on with your nails and your whole body and take the good advice your doctor offers. And when you go for that manicure, ask your licensed manicurist what to do. They’re sure to have some good advice! Some everyday items, like nail polish remover and hand sanitizer, are just too harsh for your nails. Hand sanitizer is often alcohol-based which dries out your skin and your nails. If you must sanitize use a hand cream immediately after to add back moisture to your hands and hails. Skip acetone-based nail polish remover. While acetone strips the polish off your nails, it also makes them weaker over time. Instead try a non-acetone remover. Buffing is used to even out your fingernails but what you might not know is that those ridges are actually a healthy part of your nails. When you buff your nails, you sand down the stronger, healthier portion of the nail. If you want to get rid of the look of ridges, use a high-quality top-coat that is specifically formulated to give the appearance of smoothed out the ridges. Always file flat against the edge of your nail in one direction. Once you have your desired nail length file at a 45-degree angle. Filing at this specific angle smooths the edge of your nail to prevent snagging and pesky hangnails. Hangnails are often caused by splitting or improper cutting. Clip them carefully and don’t ever use your hands as tools and rip them away! Did you know the weakest part of your nail is the tip? So, save yourself the pain of breaking a nail and don’t use your nails to open cans, peel off stickers of scrape things off of a surface. Learn more about how to care for your nails on our weekly blog. Or if you already know a lot about nail care, maybe it’s time to learn even more. Check out the Manicuring/Nail Care program at Salon Success Academy to learn all about the career of a professional manicurist. Give us a call at 1-877-987-4247 or fill out the form to learn more right now.